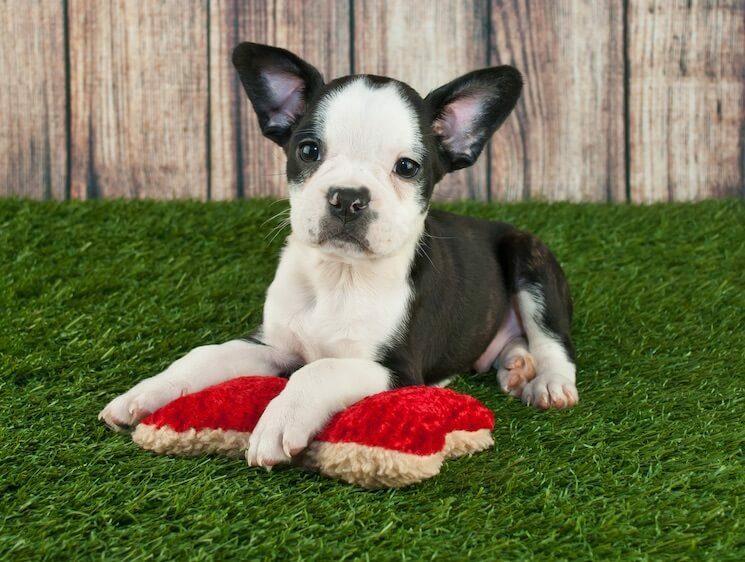 The adorable designer cross between a French Bulldog and Boston Terrier, commonly known as the Frenchton, was bred to reduce some of the known health issues with the parent breeds. Standing no taller than 16” in height a Frenchton is easily recognized by its round head, flat face and snub nose. He is renowned for his willingness to please and love of cuddles. When combined with his high spirit, this is making him a popular choice for those seeking a loyal family dog. His small size makes him an ideal choice for city dwellers and equally, when socialized correctly, he thrives in busy family households. Interested in owning this energetic and intelligent little pooch? Continue reading our owner’s guide to learn more. Like any designer dogs, the Frenchton dog breed is not a purebred. 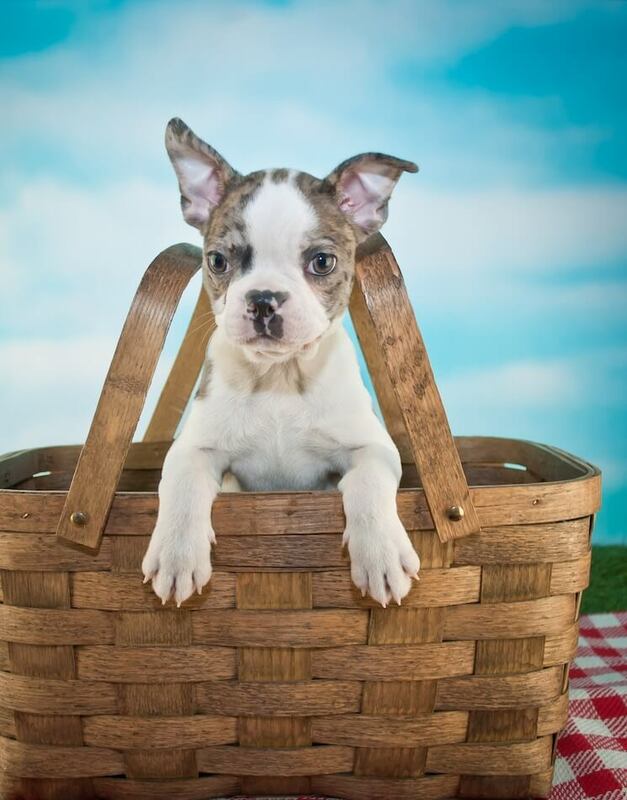 The Frenchton is a designer cross breed between a purebred French Bulldog and Boston Terrier. Free Giveaway: Download a copy of our Frenchton owners guide. Not surprisingly with the stateside heritage of the Boston Terrier, the Frenchton did in fact originate in the US in the 1990’s. It wasn’t until 2009 that they became a recognized breed by the International Designer Canine Association. It is believed they were bred to avoid some of the common health issues found in the parent breeds, specifically respiratory issues in the French Bulldog (Frenchie). For this reason, you will notice he has got a longer snout than his Frenchie parent. Not only this, with the renowned loyalty in both the Frenchie and the Boston Terrier, it was a given that the designer mix would be a super companion (read more about this in the temperament section). The French Bulldog & Boston Terrier Mix has a lifespan from 8 to 15 years. Commands a price-tag of between $500 – $3,500 which is usually relating to the Frenchie parent. As always do your research and find a reputable breeder. A small dog measuring between 14-16” in height and anywhere from 15 to 25 pounds. For one of these playful canines you should expect to pay anywhere between $500 and $3,500 per puppy. Because of the high price, owners sometimes look to Frenchton dog adoption. The premium price tag is usually thanks to the parent Frenchie because they are particularly difficult to breed due to their small hips. French Bulldogs are often artificially inseminated and natural birthing is difficult with a lot of puppies being born via caesarian section. These procedures all come with a cost and litters are often small which again pushes the price of a puppy up. Speaking of the parent breeds, let’s have a look at them in a little more detail. Originating in the UK, the French Bulldog found favor with lace makers in Nottingham. During the height of the Industrial revolution, the lace industry was threatened, many makers re-located to France, and of course, took their dogs with them. The breed continued, often being crossed with terriers and pugs along the way, before being discovered by the Parisian ladies. Frenchies were adored for their small size, perfect for city living, and before long, they found themselves across the water in the States. Loved for their affectionate nature, Frenchies are easy going, sociable and athletic. They fit in with any family, are super with kids and, when socialized from a young age, tolerate other pets particularly well. Crossed between a Bulldog and a Terrier was a dog named Judge. Thanks to those blood sport loving Brits, we have the Boston Terrier. 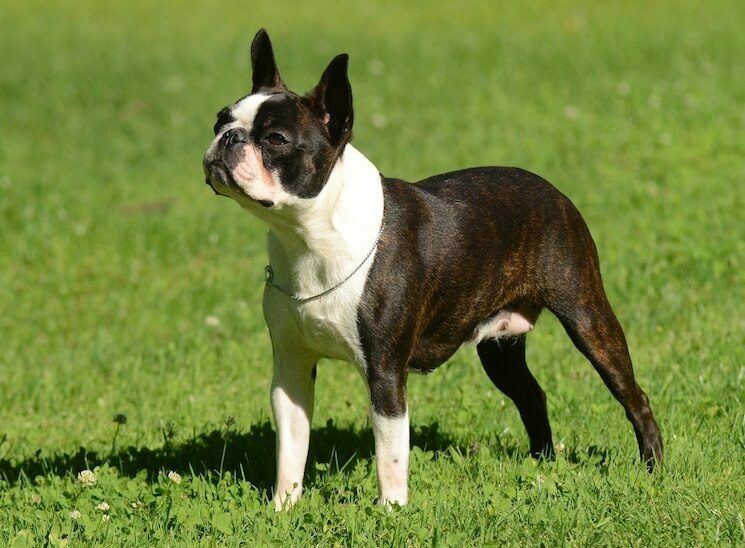 In the 1800’s, Judge, the first Boston Terrier, found his way stateside with William O’Brien. Judge was the original Boston Terrier. Named after a city, that’s where the Boston Terrier thrives. Full of personality and spirit, this intelligent little guy is happy just being with his people. 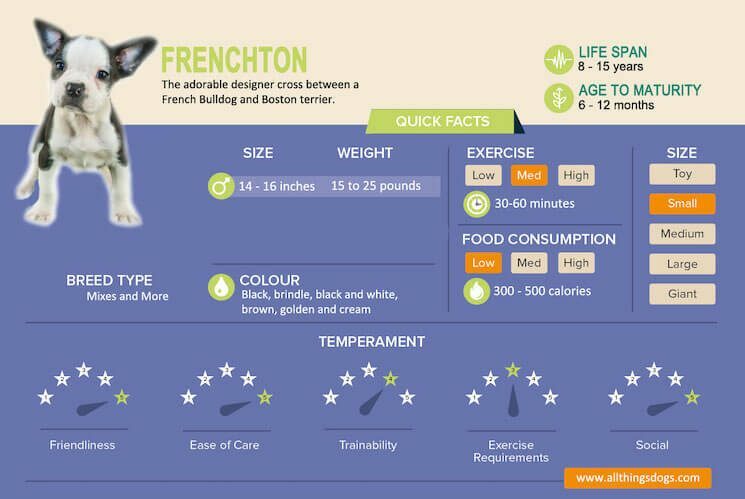 Another solid all-rounder, it’s not surprising that we get such a people-orientated, sociable pooch when we cross the Boston Terrier with the Frenchie. This sociable little guy is suited to most families. They thrive with kids, couples, singles and due to their low exercise need they are also perfect for the retiree who just wants a pooch with a bit of personality. Not known for barking, these guys really are perfect for apartment living. Your neighbors will barely know you have a dog. The most noise you’ll hear from them is when they are sleeping. They snore, loudly! Due to their bulldog and terrier heritage, these guys are pretty high energy, but they do have a quiet time too. A walk around the block and some short training sessions; your frenchton will be curled up on the sofa. They truly are the most loyal dog you could wish to meet as they are inherent people pleasers! Combine this with their intelligence and the kids can teach them a trick or two. When socialized from a young age, the Frenchton tolerates other pets in the home – just be mindful of their ancestor’s heritage; some can get snappy with dogs they don’t know. Their love of people means they don’t tolerate being left alone for long periods. They can become distressed and destructive. Seek out a reputable local dog walker, or doggie daycare, if you know you will need to leave him home alone. A laid-back people pleaser? Let us take a look in more detail what it takes to care for him in our care guide below. 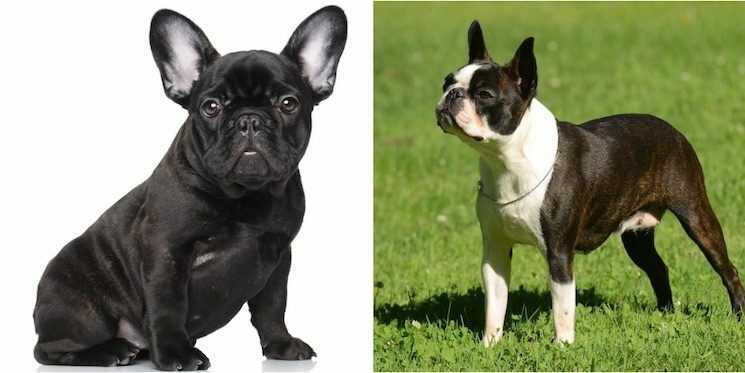 The French Bulldog (left) and Boston Terrier (right) are similar in size, appearance and care. As you would expect, his small size means his meals are just as small. On average, your Frenchton will eat around 20 calories per pound of body weight per day. So if he’s weighing in at 18 pounds, you will feed around 360 calories per day. This should mostly come from a high quality food, ensuring it is also meeting his daily fat and protein requirements. Protein is essential for cell function and repair and fat is vital for energy; which is certainly important for this playful little guy; he will need a minimum of around 18% of his diet from protein and 5% from fat. Read the label on his food to ensure you are meeting his nutritional requirements. Other calories may come from treats or snacks throughout the day, perhaps some fresh fruit. These dogs are prone to obesity so ensure you monitor how many treats and snacks they consume. You can always swap out some of his mealtime allowance to accommodate for snacks and training. Not only is watching his calories essential in weight management – so is exercise. Whenever you exercise your mix, be mindful of the respiratory issues some Frenchtons are prone to. Watch for any difficulties breathing when out on walks and don’t overdo it when it’s warm. Brachy breeds do struggle to cool themselves down in hot climates. Their friendly nature means they are inquisitive, for that reason it is probably safest to keep them on leash when out walking. They may have retained some of the stubbornness from their Frenchie parent and choose to ignore you if someone or something is more interesting. As we’ve mentioned, Frenchtons, like all brachy breeds, struggle in the warm weather. They’re not particularly tolerant of the cold either. Their short coat means they do get cold. You will often see them rocking a sweater when out on walks. Their intolerance of extreme weathers may mean that you have short walks and spend more time indoors, where the heating or air-con is. But don’t worry – their intelligence makes them super candidates for brain games (see some of our game suggestions below). The extra time you may spend indoors with your pooch is a perfect opportunity to work on his training. Like all dogs, they respond best to positive reinforcement and reward based training. Dogs learn through operant conditioning – they are more likely to repeat a behavior if it produces a positive consequence and more likely to avoid a behavior if it produces a negative consequence. Like with children, when he is demonstrating a wanted behavior – praise and reward him. An unwanted behavior? Ignore or re-direct his behavior if necessary. Ask him to carry out the preferred behavior and reward him for doing so. A reward can be praise, attention, games or food. Frenchtons can sometimes inherit the more stubborn streak from their Frenchie parent, so training may just need a little more perseverance. However, in general, their willingness to please means they excel when the kids want to teach them a trick. Holding a treat by his nose, move it slowly towards his shoulder so he has to bring his head around to sniff it. As he follows the treat, bring the treat behind him so he must roll over to get it. Treat him! Once he is following the treat relatively quickly, add in the command “roll over” to label the behavior. Some are wary of Frenchton dogs with kids due to their Frenchie parent. When socialized from a young age, Frenchtons love being part of a family, kids included. But, they need to be introduced to what the world has on offer, in a safe and controlled way from puppyhood. Dogs learn what to fear and what to accept; they need positive experiences to know that something is safe. Take a look at this socialization checklist to get you started. 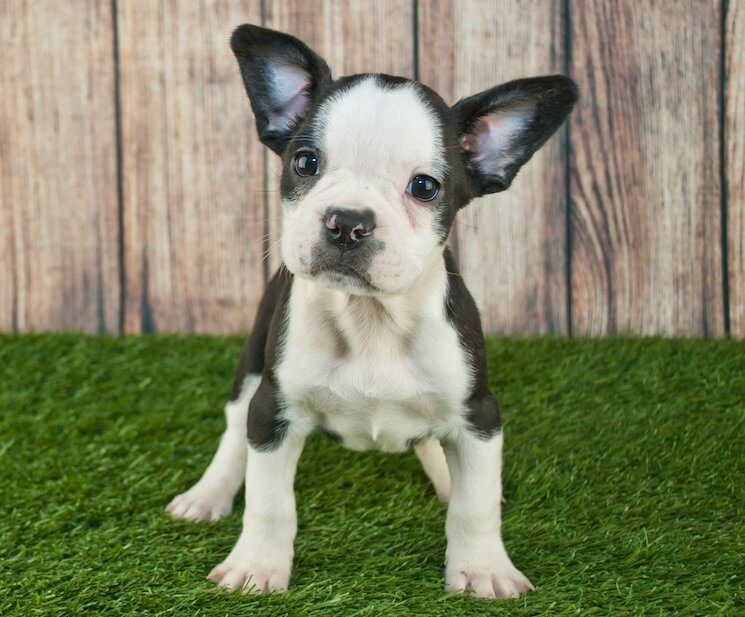 We know that, despite the hope to out-breed certain health concerns in the purebred parent breeds, the Frenchton does still suffer with a few health problems. 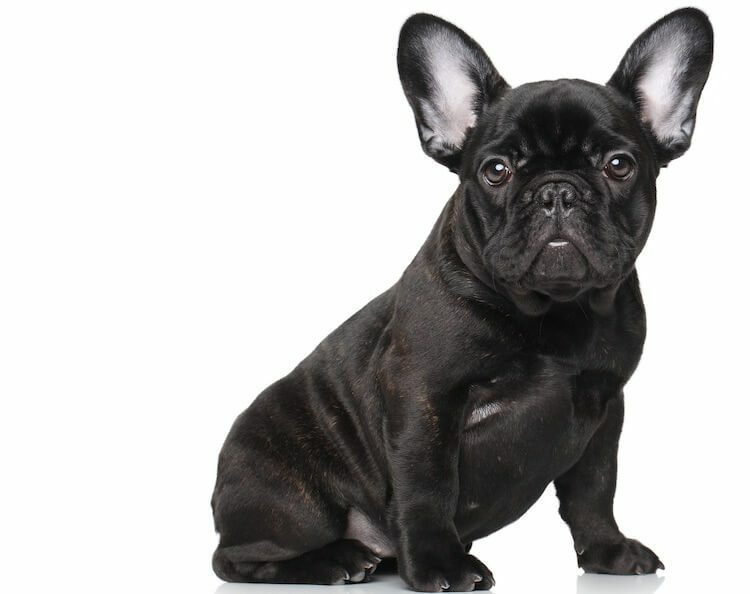 Respiratory issues – being a brachycephalic breed, the Frenchton is known to suffer with Brachycephalic Airway Syndrome. This is an umbrella term for a range of abnormalities including stenotic nares, elongated soft palate, hypoplastic trachea and everted laryngeal saccules. A brachy breed may suffer with one or all of these. In short, they cause problems breathing. Obesity – like their Frenchie parent they can get overweight very easily. Obesity contributes to a range of health conditions affecting organs, bones and joints and ultimately the lifespan of the dog. As we have mentioned, monitoring food intake is key as is ensuring your dog has her daily exercise. Inability to tolerate extreme climates – due to their physical structure and short coat, Frenchtons struggle in both hot and cold climates. Their brachy structure means they are ill equipped to cool themselves in the heat and their short coat doesn’t give them much insulation in the cold. A moderate climate is best or a home where you can hide from the elements when necessary. A Frenchton dog is classed as a small dog breed measuring 14-16” to the withers and 15 to 25 pounds in weight. Frenctons are usually noticed for their slightly longer snout than the Frenchie, but still having those “bat ears”. They have also lost the bulging eyes from the Boston Terrier, which means eye issues are less of a problem. Round headed, flat faced with a snub nose and erect ears, the Frenchton comes in a range of colors. You will notice them black, brindle, black and white, brown, cream and golden. This dog has a short silky coat which infrequently sheds. Grooming is an easy task, a grooming mitt once or twice a week will remove any dead hair and keep that silky coat shining. They are also small enough to pop in the bath, with some dog shampoo, if they could do with a spruce up. With their erect ears, they do require regular cleaning. Cotton pads with an anti-bacterial ear wash solution at least weekly will keep them healthy. Whilst you’re at it, use a gentle eye cleaner to keep those puppy dog eyes clean. Despite not having particularly bulging eyes, tear staining can be an issue as can discharge from the eyes drying in the creases of the muzzle. If any of these issues become a problem, seek advice from your veterinarian. The Frenchton, bred to be a perfect city companion, stands no taller than 16” in size and carry a playful and energetic zest! Suited to most families, when socialized from a puppy, they are the friendliest guy you’ll meet. Not renowned for barking, your neighbors will barely know you have a dog. Prone to obesity, owners should be mindful of their food intake and ensure they are regularly exercised. If the weather isn’t ideal, work on some mental stimulation at home; their willingness to please and intelligence makes them perfect candidates. There is the potential they have retained a stubborn streak from their Frenchie parent, but this is nothing some persistence won’t tackle. A general all-rounder with early training and socialization; the friendly, playful and easy-going Frenchton is an ideal addition to the family. Let us know your experiences in the comment field below.